While I have been gathering information for my “Holiday Baking Guide,” I’ve come across some recipes that call for “vegan sugar.” Whaaaaat? Okay, I know that for vegans honey is taboo & I often use agave nectar as a substitute anyway (as it is lower on the glycemic index & less caloric), but never thought I’d need to reconsider sugar! Oh, for the love of Gandhi! Is nothing safe anymore? Q. I am trying to figure out why vegans don’t eat plain old sugar that you buy at the grocery store. Can you please explain? A. 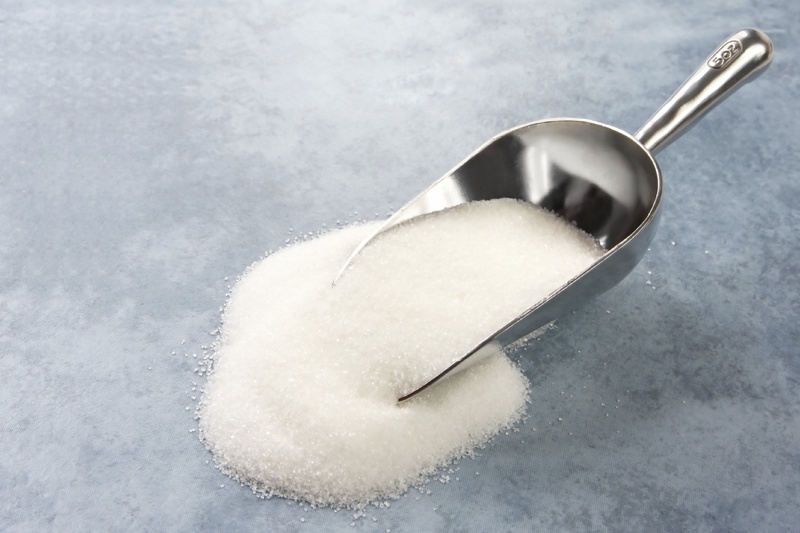 Half of the white table sugar manufactured in the United States is cane sugar and the other half is beet sugar. Beet sugar accounts for about 40% of the world’s sugar, and the United States is the third largest producer. Sugar beets, which naturally contain 16 to 18 percent sucrose, flourish in temperate climates where the soil is rich and the growing season is about five months long. Thirteen U.S. states currently grow sugar beets. Sugarcane, which contains 12 to 14 percent sucrose, is a tropical grass and is grown in four U.S. states: Florida, Hawaii, Louisiana, and Texas. Both cane sugar and beet sugar are considered to be among the “purest” foods available because they are 99.9 percent sucrose. The primary distinction between cane sugar and beet sugar, other than being derived from different plants, is the processing method. Unlike beet sugar, cane sugar processing typically takes place at two locations, the sugar mill and the refinery. During the final purification process, cane sugar is filtered through activated carbon (charcoal) which may be of animal, vegetable, or mineral origin. This step is unnecessary for beet sugar and therefore is never done. Over half of the cane refineries in the United States use bone char (charcoal made from animal bones) as their activated carbon source. The bone char used in this filtering process is so far removed from its animal source that cane sugar processed in this method is deemed kosher pareve, which, according to Jewish dietary laws, means that it contains no meat or milk in any form as an ingredient. A number of vegans disagree with this perspective. Consumers cannot discern any differences between beet sugar and cane sugar in taste, appearance, and use. Beet sugar is frequently not labeled as such — the packaging may just list “sugar.” Cane sugar is more often labeled specifically, but not always. For consumers wishing to differentiate, the issue has become convoluted. Many vegans prefer to avoid white table sugar altogether rather than chance using a product that was filtered through bone char. Brown sugar consists of sugar crystals (cane sugar or beet sugar) combined with molasses for taste and color. Confectioner’s sugar (also known as “powdered sugar”) is white table sugar that has been pulverized into a very fine powder and sifted. Some vegans replace white table sugar with unbleached cane sugar or dehydrated and granulated cane juice, both of which are available in natural food stores. Most of these products can replace white sugar measure for measure for general use (such as on cereal or in beverages) and in recipes. These products are typically darker in color than white table sugar — ranging from light amber to rich brown — due to their naturally higher molasses content. This can sometimes alter the flavor of recipes and may also affect the color of the finished product. Unbleached cane sugar is considered by some to be more healthful than white table sugar. Although it may contain minimal trace nutrients, one would have to eat massive quantities of this sugar in order to obtain any reasonable nutrititive value. And, of course, there are numerous drawbacks associated with the overconsumption of sugar including tooth decay and obesity. Nutritionally speaking, sugar is sugar is sugar, whether it is white table sugar, maple sugar, or a natural alternative. A 1948 federal law requires all products sold as sugar in the United States to be at least 96 percent pure sucrose, so even “raw” sugar (sometimes called “turbinado sugar”) is by law compositionally close to white table sugar — about 96 to 98 percent sucrose. Beyond the bone char concerns and health-related issues, there are many factors to consider when purchasing sugar and products that contain it. The vast majority of sugarcane is not organically grown, and most sugar plantations employ environmentally unsound agricultural methods, such as heavy insecticide and pesticide use and crop burning, which negatively impact soil, air, water, and the health of the workers. Sugarcane production is labor and energy intensive and utilizes large amounts of fossil fuels in processing, filtration, packaging, and transport. Plantation owners typically pay meager wages and provide no benefits while workers are forced to endure brutal, substandard conditions. There are many reasons why vegans avoid white table sugar, why some purchase only organically-grown unbleached sugar, and why still others eschew sugar products altogether. A prudent approach may be to reduce our use of all types of sugar, including sugary processed foods, and to train our taste buds to more fully appreciate the natural sweetness of fresh and dried fruits, grain sweeteners, and other whole foods. Still another option is to purchase granulated natural sweeteners such as maple sugar, granular fruit sweetener, and date sugar, or to use natural liquid sweeteners such as pure maple syrup, agave syrup, malt syrup, brown rice syrup, and mixed fruit juice concentrates. These products are available in natural food stores and many supermarkets.